What make an international shipping company excellent? Going through a relocation process is something that requires planning and preparation. It is very important to know what the things to think about are and what must be done prior to the moving. It is best to prepare a To-Do list, learn about the permits you have to get for you and your family in order to relocate your residence, find a place to live in in the new country, think about employment options (if you don’t have plans already), and locate an international moving company that offers world class shipping services. Here you can learn about what is important to know about international moving companies. What Should You Look for from Your Moving Company? If you ask yourself the question ‘What should I expect from the moving company?’ in order to know which is an excellent company and which is just an average one – we would like to help you answer it. Follow these words of advice and they will help you determine which international moving company is the best to hire for international relocation services and world class shipping solutions. 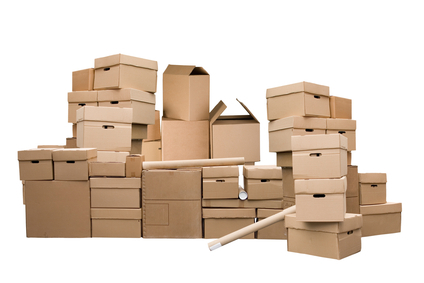 One of the first things to ensure regarding the moving company is its license and insurance. An unregistered company is more often than not a company that doesn’t deserve your trust. Lots of times people are drawn to hire such companies due to cheap and seemingly attractive offers, but should something happen with your shipping – there will be no one to talk to, to turn to, or to file a lawsuit against. When you choose a professional and experienced company, you’ll usually be presented with several services that will help you with a smooth relocation experience. That means that the company will offer packing services, unpacking services, and information about the destination country’s regulations and customs laws, among other things. A company that does not offer a specific service isn’t necessarily a professional company, but it will be much easier for you to solicit all services from one experienced company. Book the Moving Day Ahead! Moving companies are not available all the time – so plan your moving day ahead, book the date with the preferred shipping company ahead, and if the company is not willing to do so, it is a huge red sign that screams volumes about their seriousness and reliability. Once you’ve picked the right moving company and set the date for the moving day with them, you’re halfway through with preparing for the relocation. Good luck!